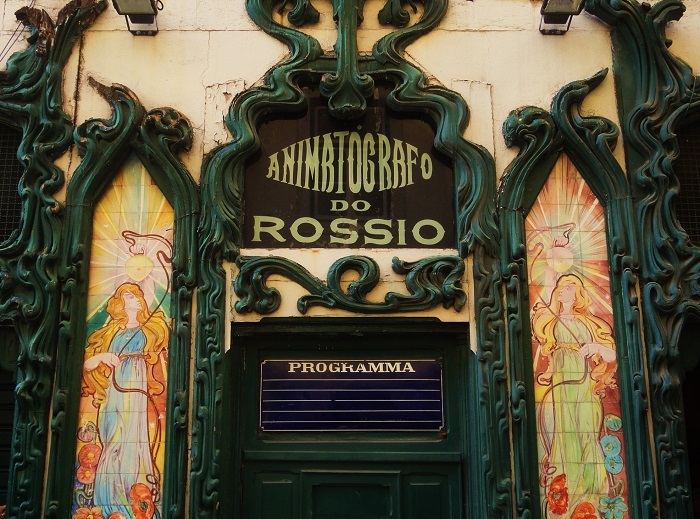 "Animatógrafo do Rossio", a former movie theater which opened doors in 1907. That's beautiful, I had never seen it. Oh how I love this sign. It's gorgeous! Haha! I see what you mean Jose.. It's definitely a case of great minds thinking alike :) Oh la look at those glass panels at each side of the door, j'adore! A beautiful sign! One of my favourite design periods. This is one impressive window ! Those "angels" of tile are so bright and cheerful. Is this still be used as a theater? Thanks for all your comment and good wishes. We're doing fine at this point. Hope all goes well with you! Love the tiles, so delicate and ethereal looking. Wow--- that really is beautiful, and your image is perfect. Art Deco made its way from Vienna and Prague in fine style.